Universal 1-cylinder programmable ignition accepts either a magnetic pickup or a Hall-Effect input. 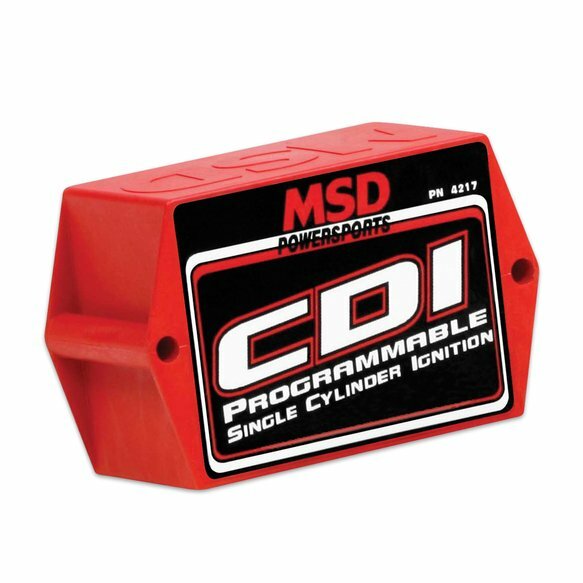 MSD's Single Cylinder Programmable Ignition gives you flexibility you could never imagine with a single cylinder engine. It is fully laptop programmable and allows you to change timing curves on the fly. Not only do you get great programming abilities, but the Capacitive Discharge design delivers high output sparks! The ignition accepts either a magnetic pickup or a Hall-Effect input. Also included are adjustable launch rpm and rev limiters.